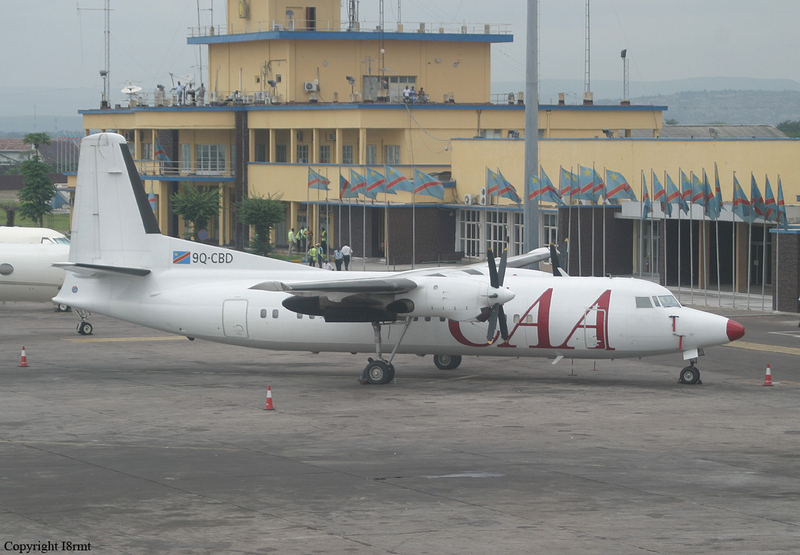 Aircrat was completing a flight from Kananga to Goma with an intermediate stop in Lodja with four passengers, a crew of six and cargo on board. 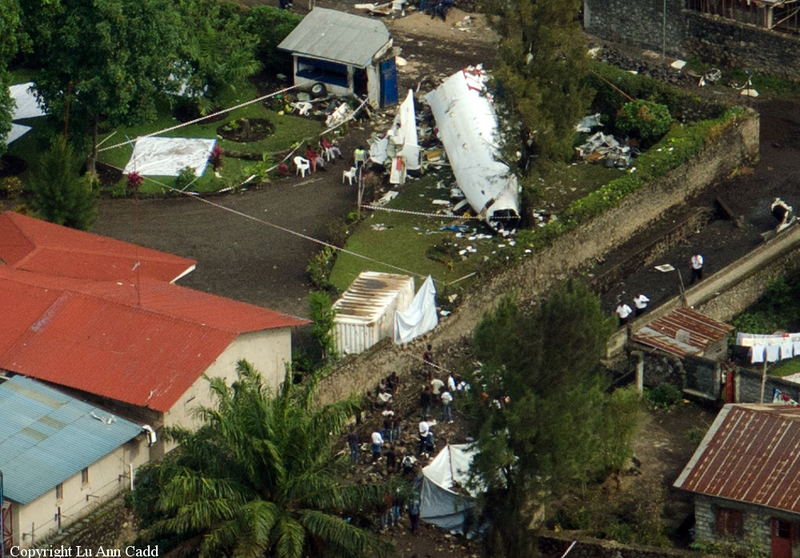 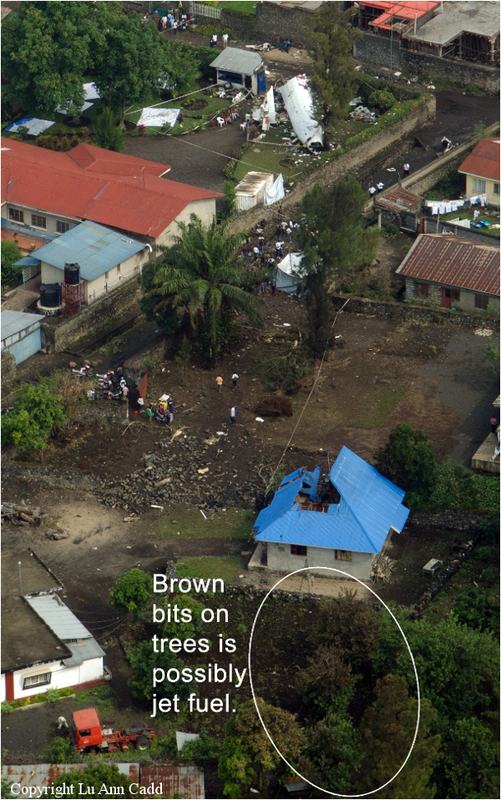 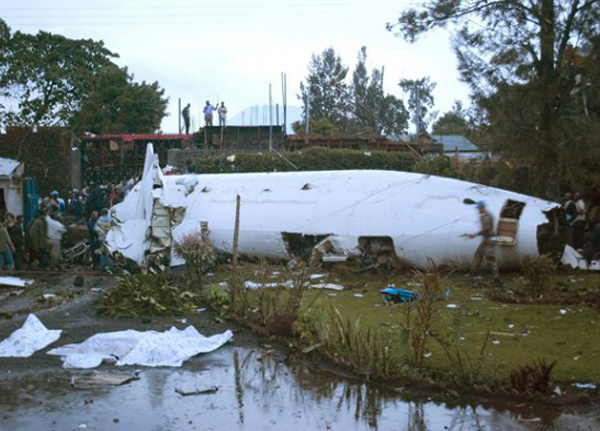 While approaching runway 36 in poor weather conditions, aircraft hit the roof of a house, stalled and crashed upside down in a residential area. 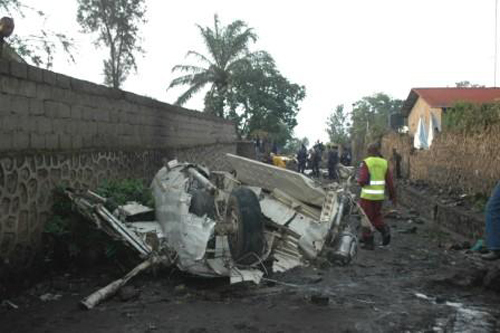 Seven occupants were killed while three passengers were injured. 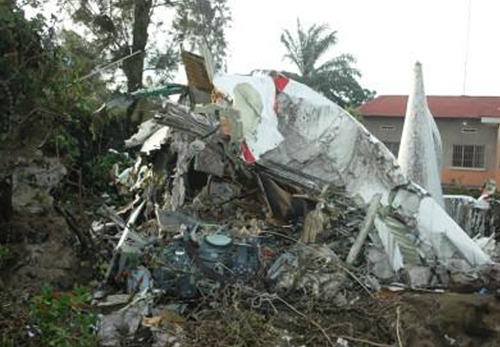 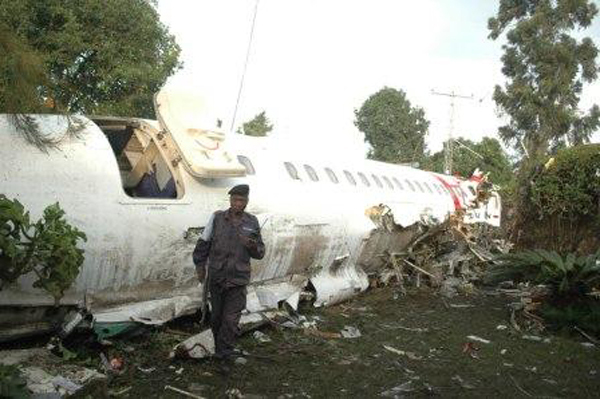 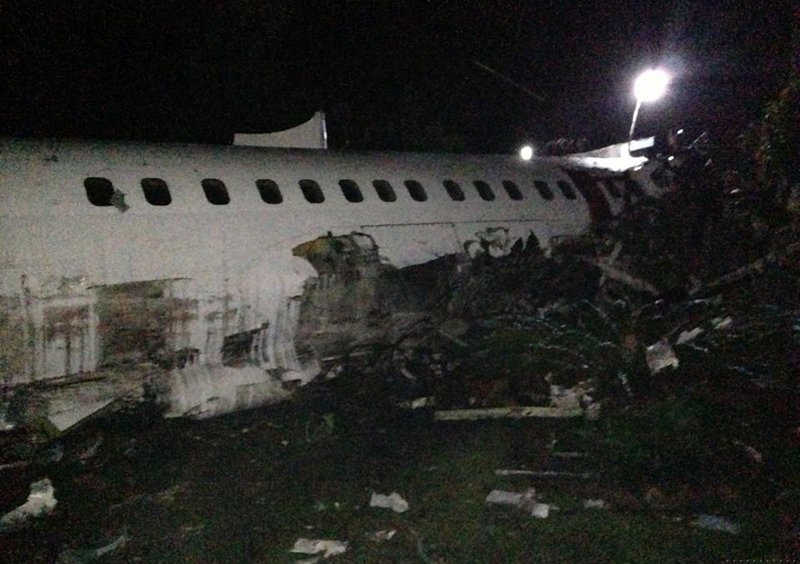 Aircraft was destroyed.